According to the Health and Safety Executive (HSE), there are approximately 622,000 cases of reportable work-related accidences occur in the UK each year. Such accidents often involve ladders. The European Committee for Standardisation therefore recently published the standards EN 131-1 and 2. The guidelines describe new design and test requirements. As of January 2018, ladders used in commercial operations fulfil all criteria for structural stability and load capacity. As a manufacturer, ZARGES is early on emphasising safety and informing construction and industrial companies about the implications of EN 131. 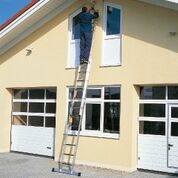 The access technology specialist is already offering ladders that comply with the new standards. 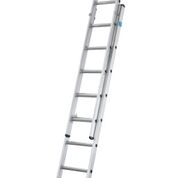 Regularly inspect ladders: it is recommended that ladders that are subject to frequent use should be inspected at least once every three months. Take note of the inspector's qualification: An inspection is considered legally compliant only when it is performed by a certified in-house safety officer or a trained employee of a specialist company. Perform retrofitting: Access systems can be retrofitted to comply with regulations. 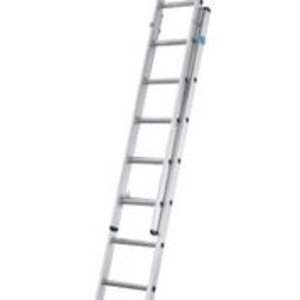 For example, a base stabiliser can be added to a leaning ladder in accordance with EN 131-1. Safety first: In addition to annual inspections, companies should always keep an eye on the safety of their ladders and access systems. Specialist companies and manufacturers, such as ZARGES, offer relevant instructions and information.